Welcome to ClearWave.co.za. We are dedicated to giving you the best and latest financial information and news in South Africa. We will be covering everything from insurance, medical aid, and hospital plans, legal and funeral cover. We hope you find this website useful, please bookmark this website and feel free to share it with your friends. Enjoy your stay! Clearwave was created in 2016 and is today one of the leading comparison websites in South Africa. We help clients to compare insurance or medical plans from various South African providers. Before the existence of comparison website, people had to phone different insurance providers for comparisons. It does take a lot of time and money to make these calls to compare the benefits and quotes each has to offer. Clearwave saves people time and money to compare different offers and brands. Another significant advantage is that people can find an insurance policy or health cover plan that is affordable and also suits their lifestyle. Clearwave is created by experienced web developers to make the use of the website as user-friendly as possible for all people. Visitors will get valuable information and competitive quotes from various insurance providers without any hassle. 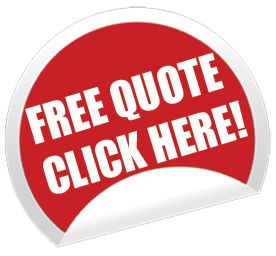 Clearwave offers customers various quotes for free. We do, however, charge our partners a fee for every customer requesting a quote on our website. Our partners have agents that will contact each client via phone or e-mail, providing them with all the information they require. The process to get quotes are user-friendly and quick. The customer visits the product page (the product they need quotes from), go through the information and fill out the form on the right-hand side. The info is sent to our partners, and they will provide the customers with the necessary information and offers. All data are kept confidential on both sides. A customer will receive quotes and benefits according to their budget, no company are favored, and the customer will not be disappointed by the offers he/she received. The proposals are done by price alone.